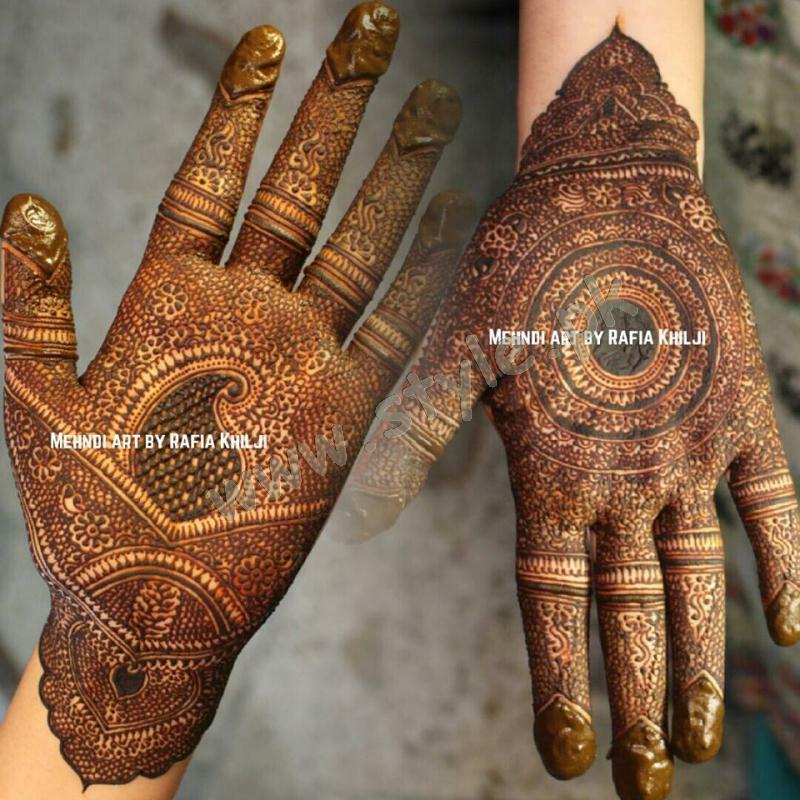 The Pakistani mehndi designs are famous around the world for their delicate appliance. 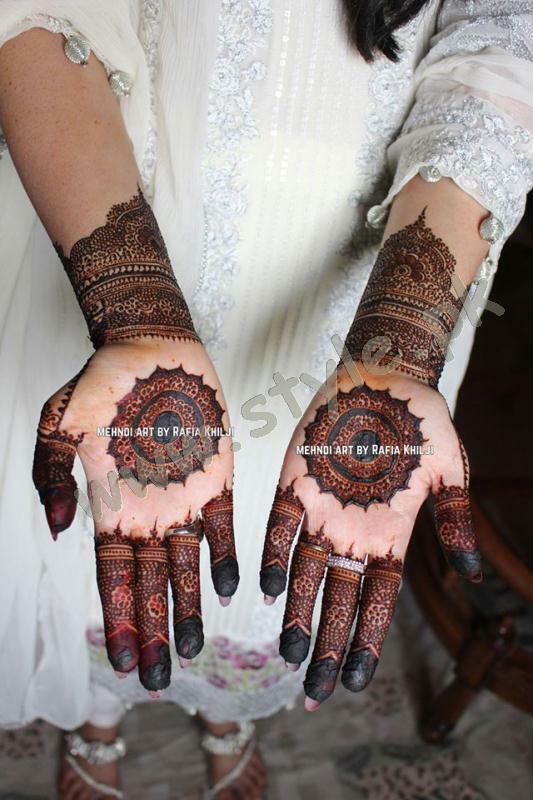 Thousands of ladies search Pakistani mehndi designs. 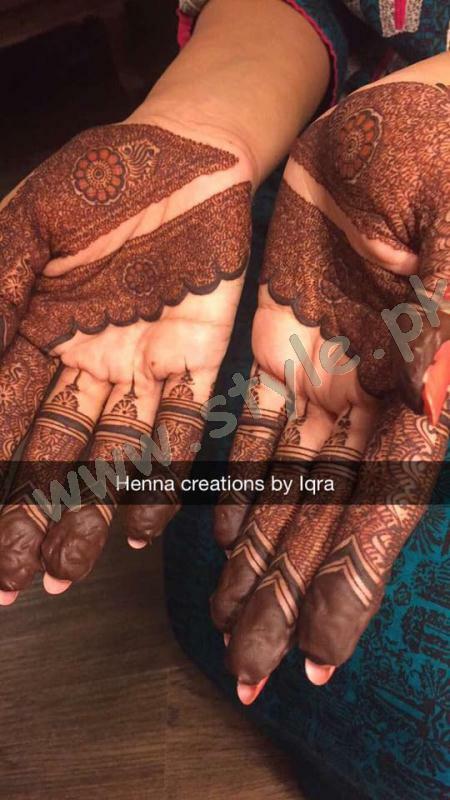 while many ladies learn how to apply Pakistani mehndi. 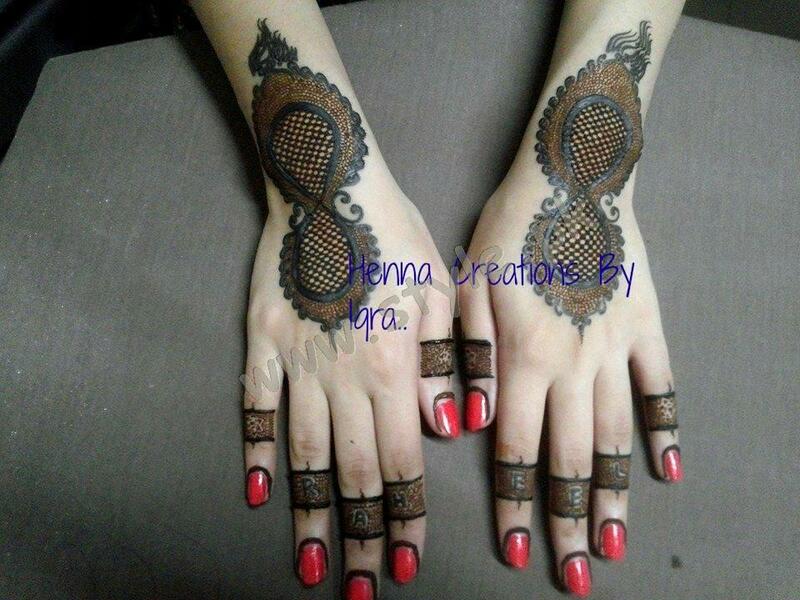 henna or mehndi is something so dearer to women. 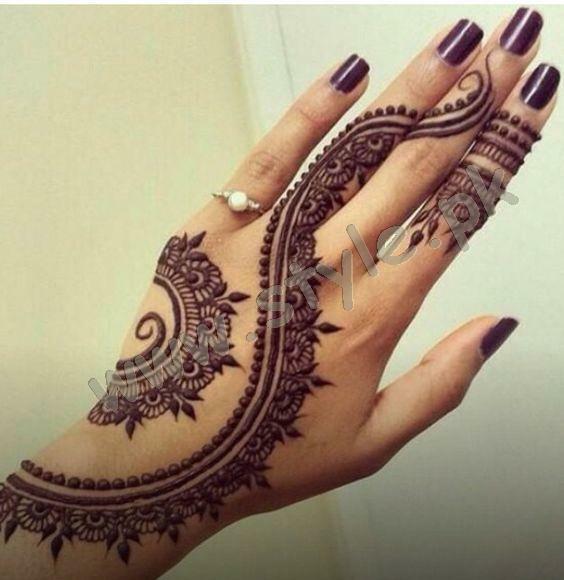 women around the globe love to decorate their hands. but, it is most popular and celebrated in the Sub-continent. 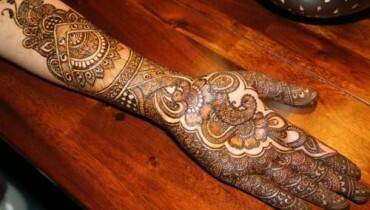 the Pakistani and Indian women are very fond of applying mehndi. 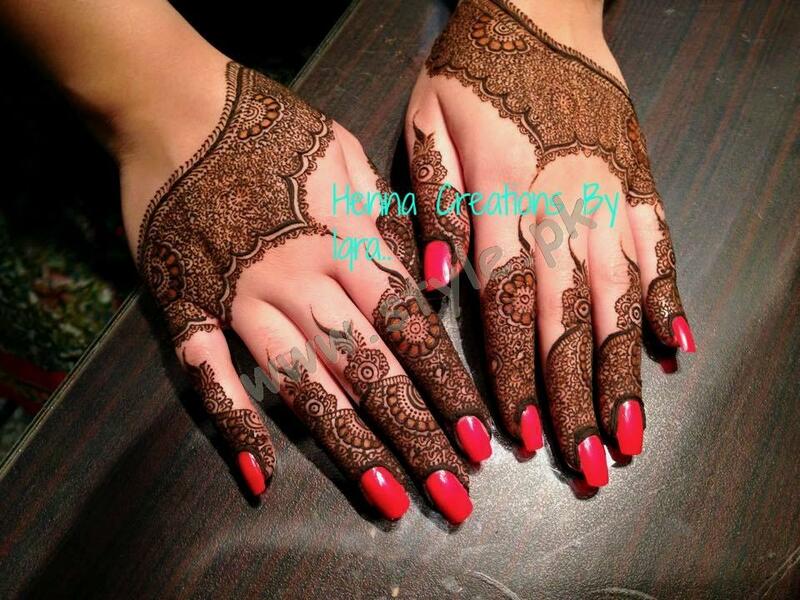 they apply various beautiful designs with henna on their hands. 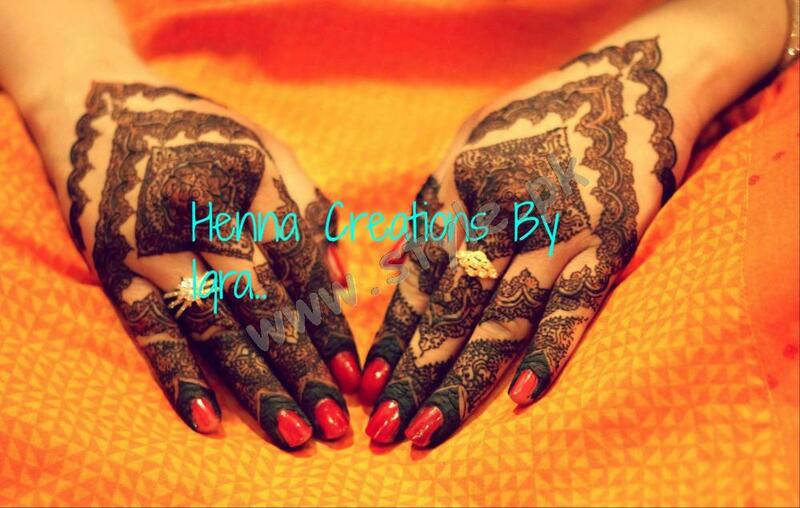 A bride is considered incomplete without henna. 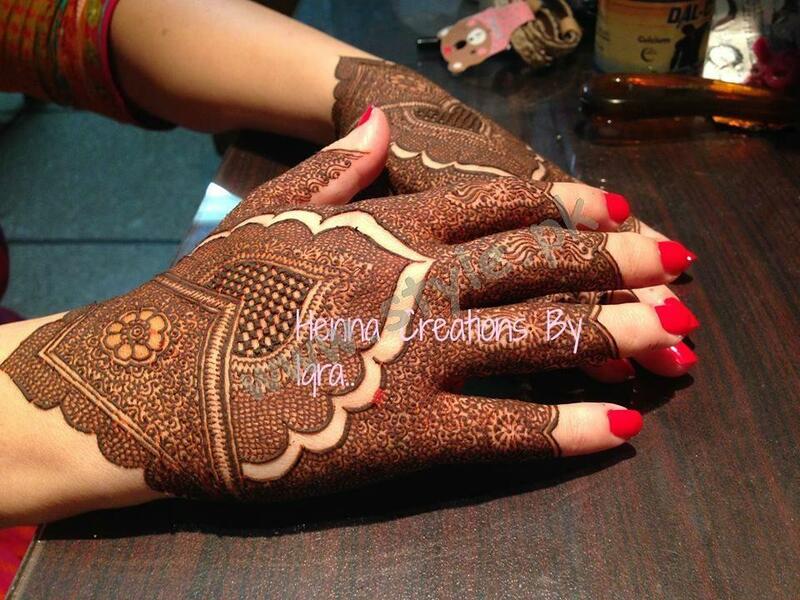 brides apply henna at their wedding. 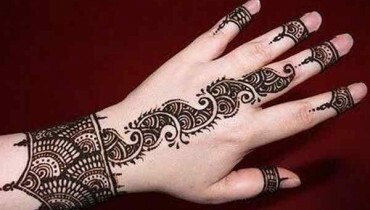 But, the hands of all the little girls and ladies must be decorated beautifully . 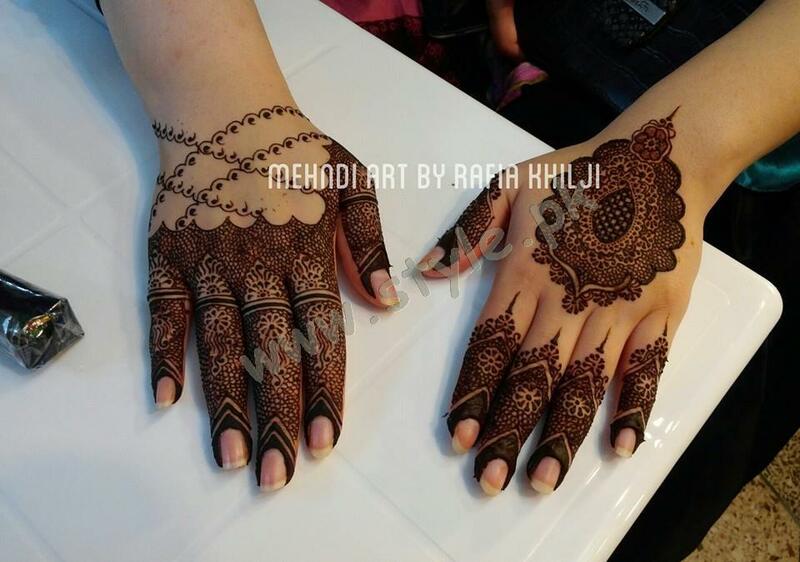 for this purpose, bookings of mehndi artist is done in advance. 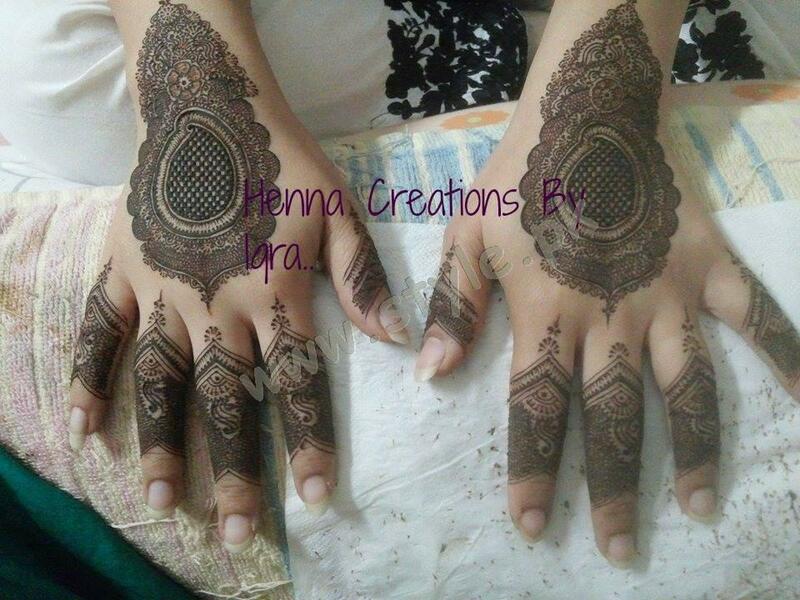 In Pakistan mehndi and chooriyaan are considered the essential elements for every Happy Occasion. 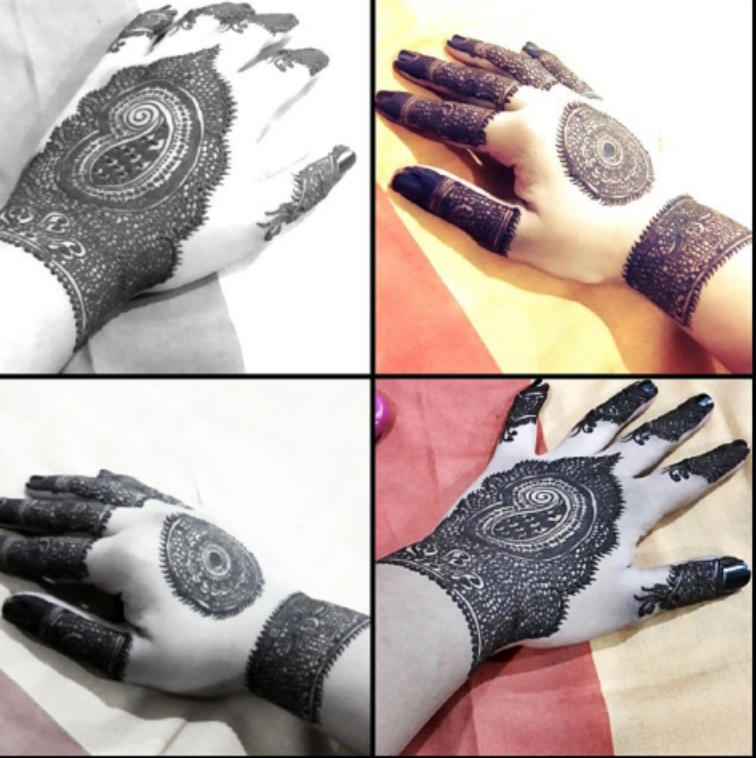 Eid-ul-Fitr is one of the most pious and celebrated with zeal and zest. 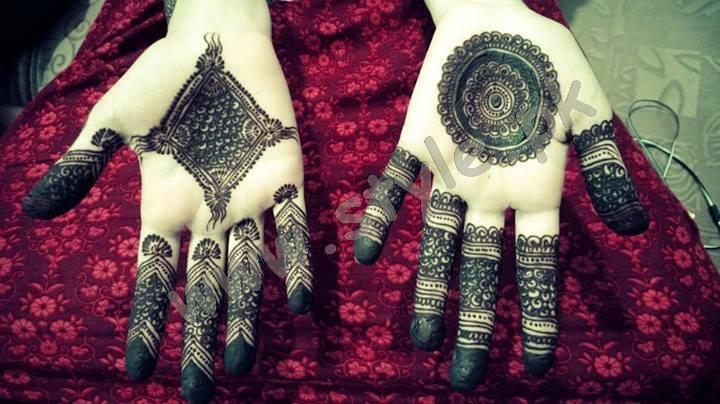 Special arrangements for mehndi application is done on chaand raat. Gone are the days when Floral art or big designs were prefered. 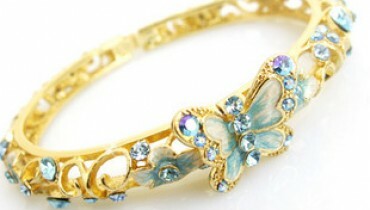 now the unique stylish designs with tiny winy fillings are loved and adored. 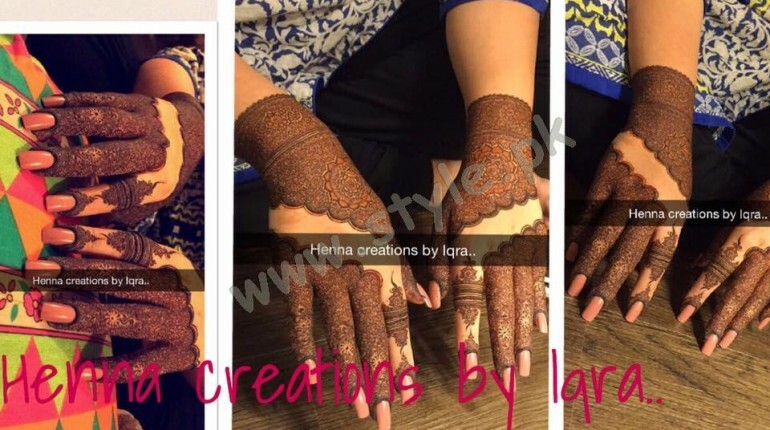 Iqra Shaikh: the young and talented henna artists who owns Henna creations by Iqra. 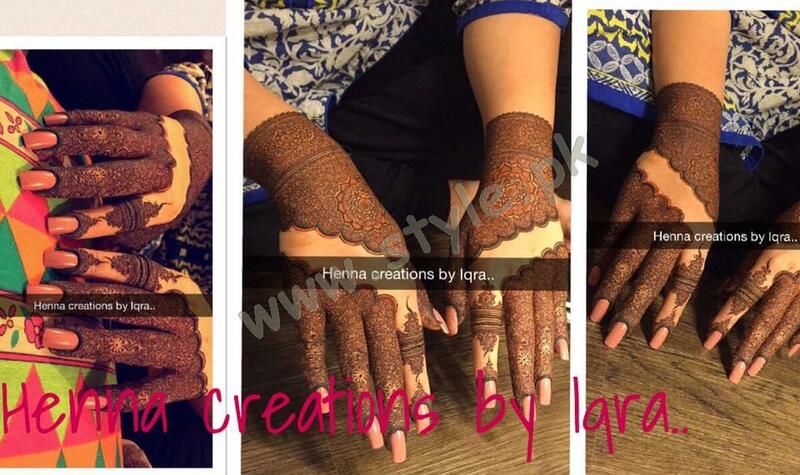 she’s the one who did Sanam Jang’s mehndi too. 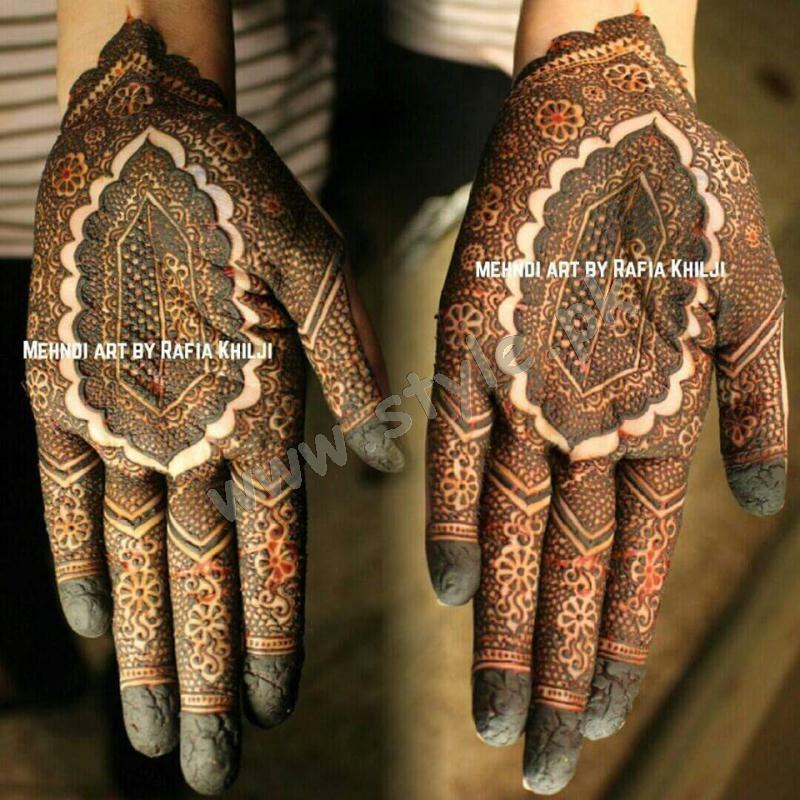 Rafia khilji: this talented lady applies mehndi beautifully. 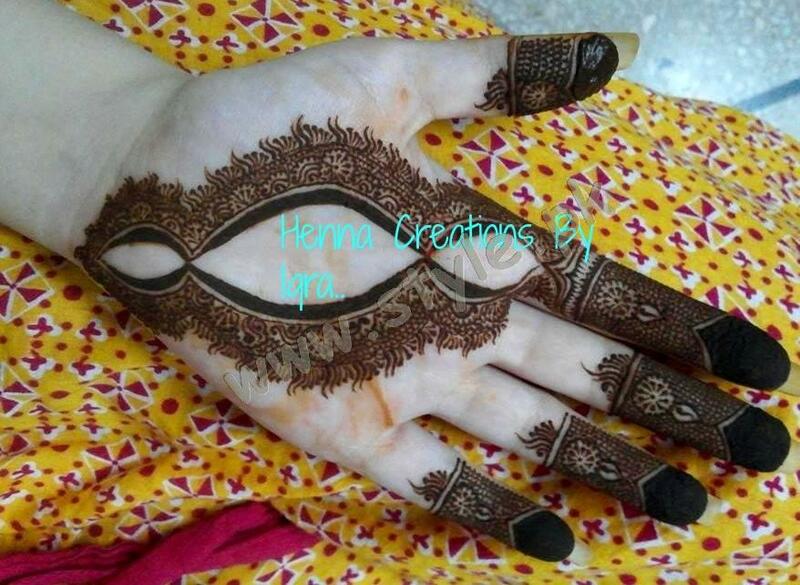 you can see her designs on her Facebook page. 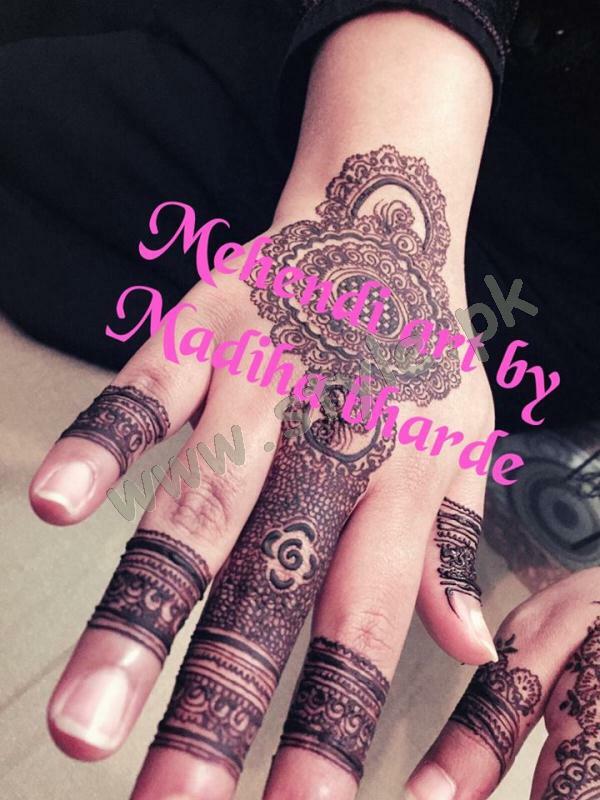 Madiha Bharde: another creative soul, her designs are flawless. 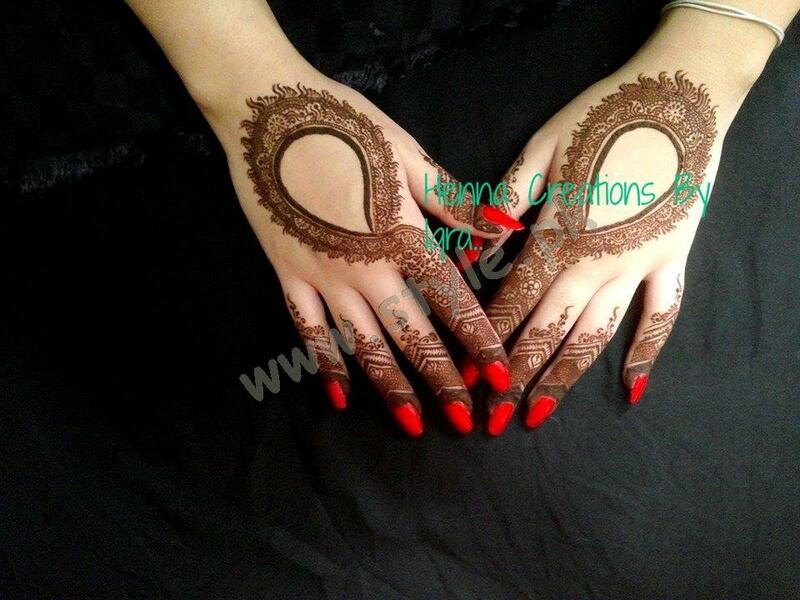 Apart from these, we’ve numerous talented and creative henna artists around Pakistan. some of them are so fully booked for even the next year. 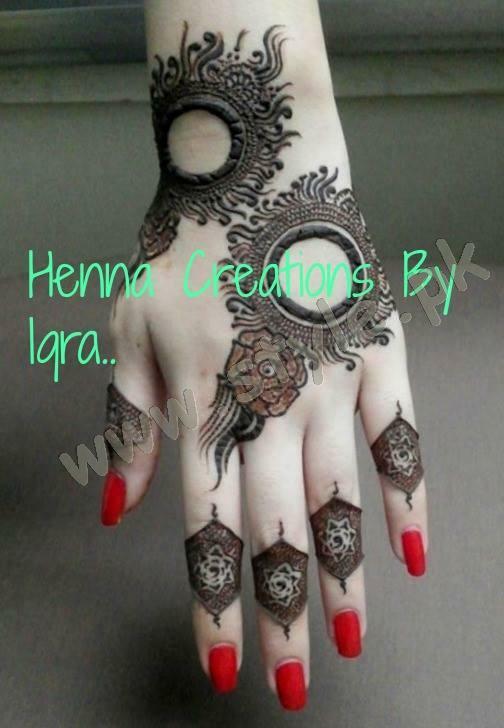 Whom are you booking for your Eid mehndi? ?